Everything you need to know about your law firm, one click away. 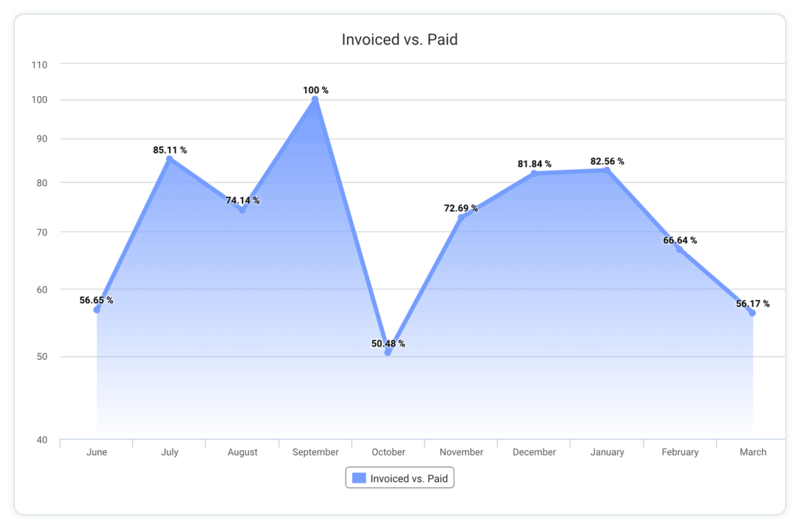 Total billable amount, overdues & payments, company-level effort and trends. Need more info - just go the Practice or Controller dashboard and get additional insights. 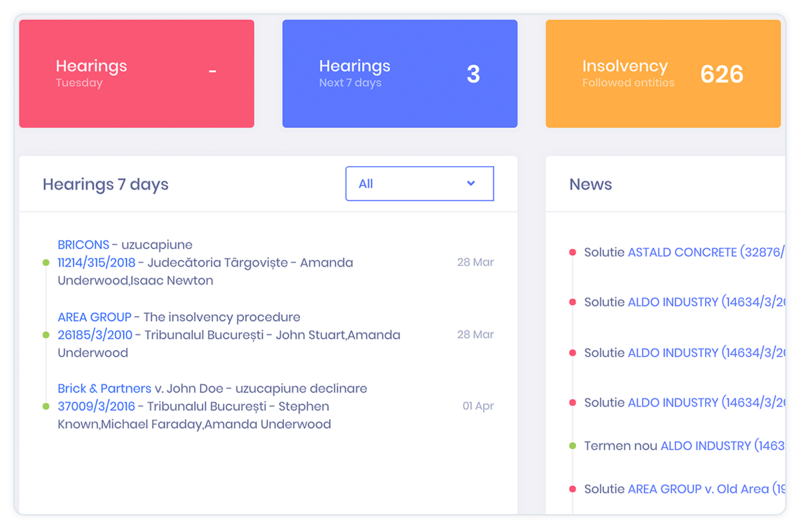 Next, there are dedicated dashboard for litigation, sales and budgeting flows. Register everything you spend on matters or internal issues. Get a visual feedback on your progress. There’s also a timer available, to speed up this process. 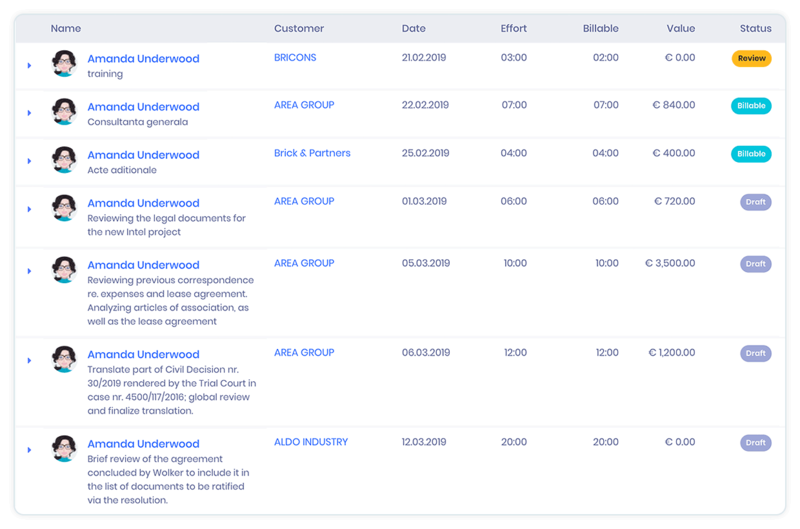 Optionally, you can then review and approve all the time entries, with instant updates on the final amount to be billed, discounts or caps included. Never lose track of billable hours. Everything your team does is safely stored in the Work in Progress bucket. You can decide later on if and when to bill the customer. 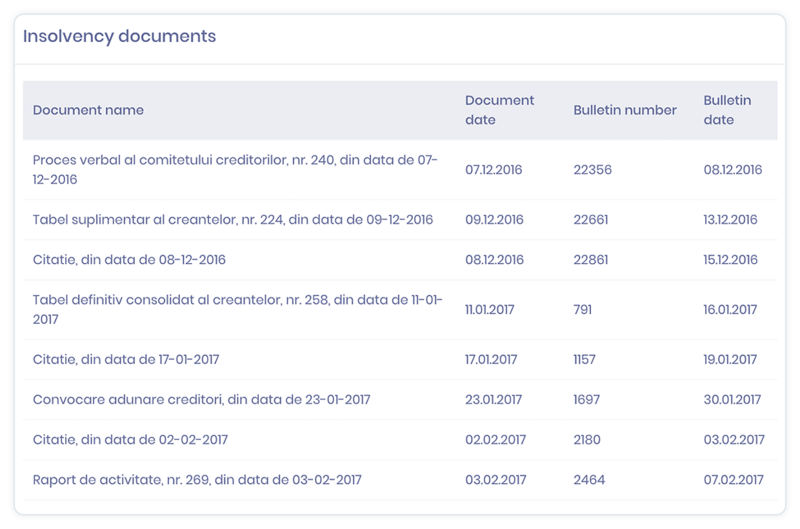 Detailed reports are available, so you can have an overview on what’s happening. Case management at its best. Create the case, link it to ECRIS and you are good to go. You’ll receive daily news and updates, so you can focus on team management - when, where and who’s handling the court hearings. Not to mention team comments, case history and a useful calendar. All in one place. 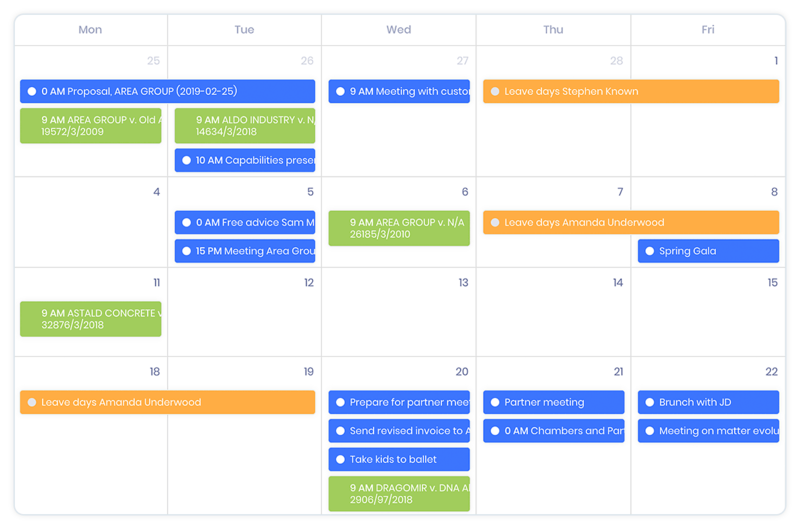 A full featured agenda for you and your team, featuring input from litigation, tasks, leave days, sales and marketing activities. Get birthdays notifications for your contacts and your team members. Plus, you can synchronize the calendar with your phone or desktop calendar. Manage daily tasks for you and your team. 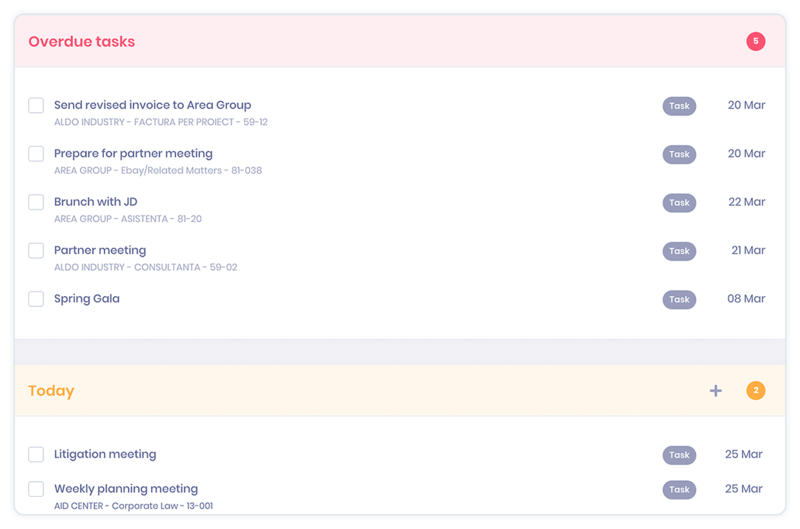 Organize your tasks by customer or project. 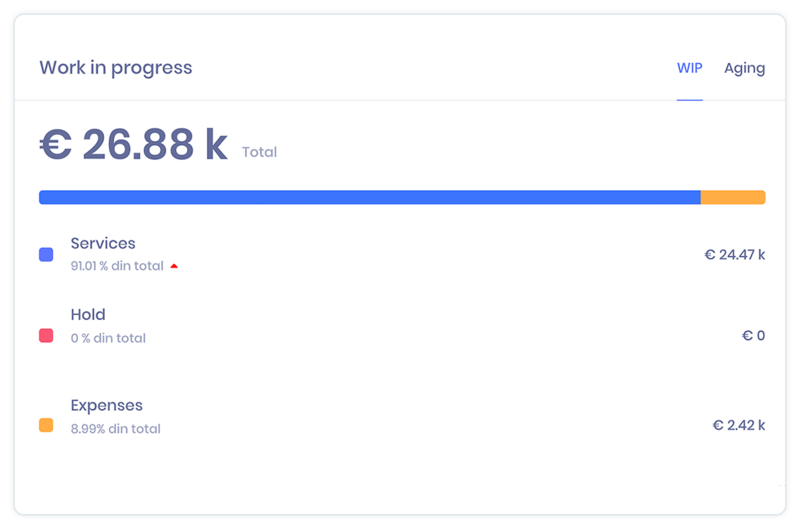 Check the progress with our dedicated dashboard and calendar. All your clients, contacts and matters in one place. Possibility to issue invoices to various fiscal entities for the same client. 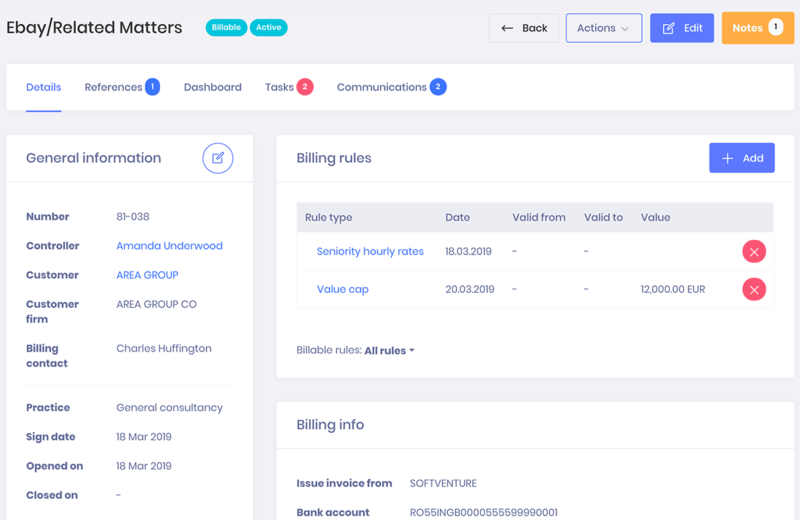 Setup budgets, billing rules, detailed references or tasks. 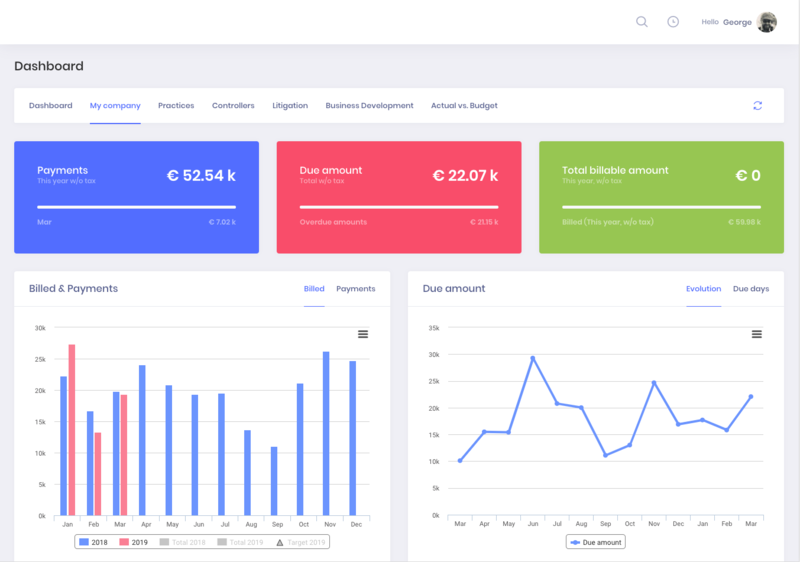 Dedicated financial dashboards, to check the work in progress, revenue and profit. 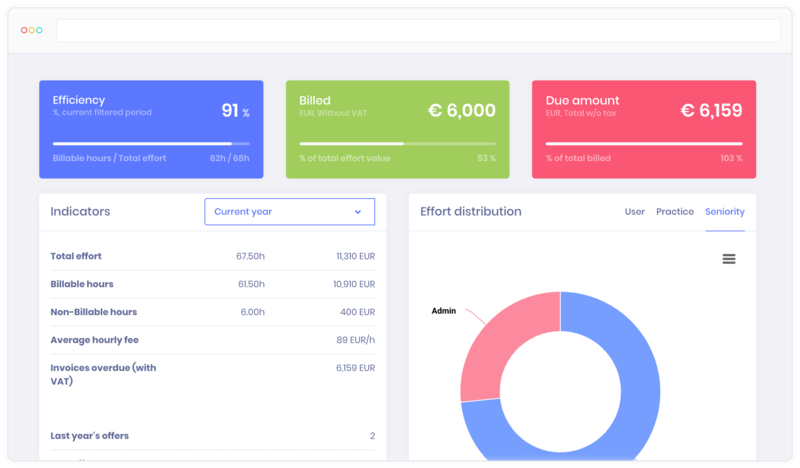 Carefully monitor the performance of each practice and controller within your company, with dedicated budgeting or revenue reports. Get insights on the revenue stream, efficiency, top customers, profit and other indicators, so you can quickly spot if there’s an issue. Define leads, create & send proposals, follow-up the status. Register the feedback and transform the lead to a customer. Monitor your submissions, contributions, referrals and press coverage. Manage events. 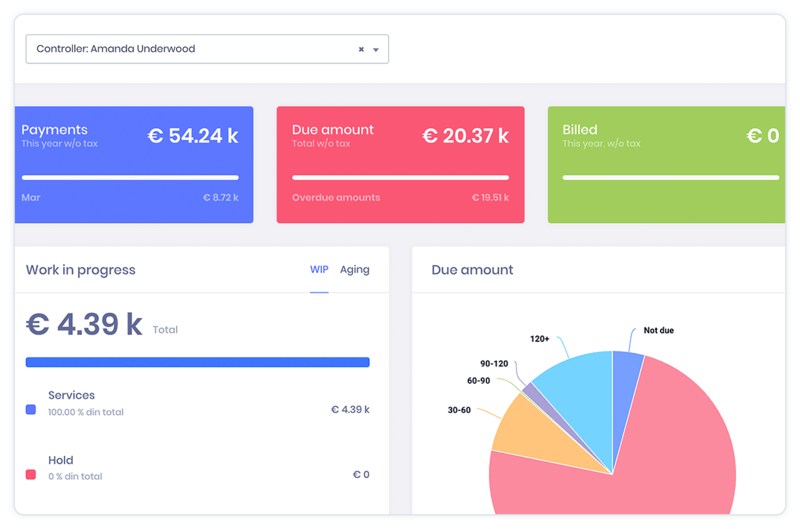 Get an overview with the dedicated dashboard. 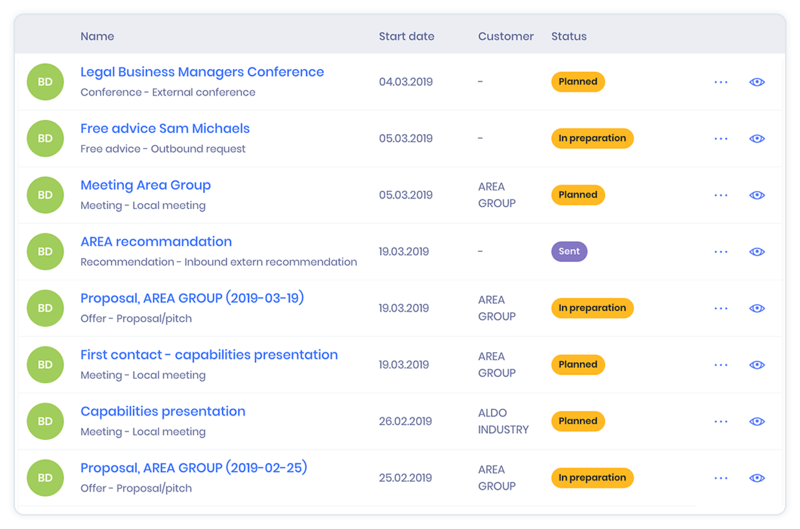 Insights available for all of the features above, ranging from standard reports to insightful analysis on your business, uncovering the weak link. Average negotiated and effective rates, Revenue and Profit at company, practice or lawyer level, Profit & Loss, Realization rate, and so on.